Horticultural books are valuable tools for newcomers to the garden as well as longtime green thumbs, including Salvia enthusiasts. It is our aim to review a range of new and old (but mostly still in print) gardening books that we find useful. Some will cover the broad range of gardening, whereas others will focus on sages (Salvia spp.) and closely related species as well as companion plants. 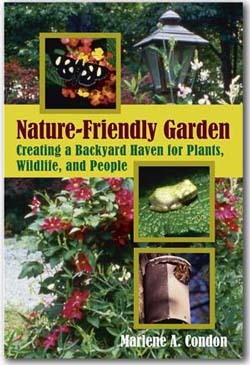 Sometimes a few hours with a relaxing garden book is all it takes to inspire new choices or solutions in your garden. 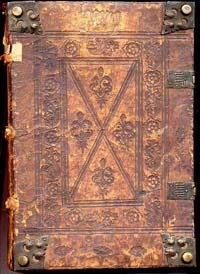 Please contact us if you would like to suggest a book for review. 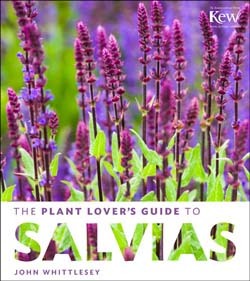 The Plant Lover's Guide to Salvias by John Whittlesey not only is a lavishly photographed, well-organized resource about the Salvia genus but also a lovely coffee table book that may inspire anyone who opens its pages to spend time in the garden. 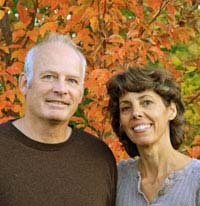 Whittlesey says his Canyon Creek Nursery in rural Northern California has an "extreme" Mediterranean climate with little rainfall from summer through early autumn when temperatures can reach up to 108 degrees F.
Reading Marlene A. Condon's Nature-Friendly Garden is like observing a game of toppling dominoes. All the pieces are lined up standing on end in a complex, maze-like pattern. Flick one domino and the whole structure tumbles. Similarly, the author shows how simple choices we make in our gardens have consequences that can build or destroy wildlife habitat. Lawn Gone by Texas landscaper and garden writer Pam Penick concerns replacement or minimization of lawns through xeriscape, the art of planting attractive waterwise landscapes. Penick redefines suburban yards through designs including perennial groundcovers and small shrubs -- such as Autumn Sages (Salvia greggii spp.) -- as well as ornamental grasses, sedges and hardscape, including water features. Flowers by the Sea specializes in Salvias and other xeriscapic plants. Copper Canyon is one of four labyrinthine gorges in Northwest Mexico's state of Chihuahua. The canyon lands are home to the indigenous Tarahumara Indians, who are famous for their reclusive culture, herbal knowledge and habit of easily running ultra marathon distances. 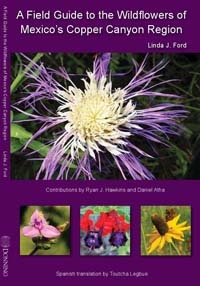 The gorges are also home to a fabulous array of wildflowers, including Salvias, that amateur botanist Linda J. Ford documents in " "font-style: italic;">A Field Guide to the Wildflowers of Mexico's Copper Canyon Region." "font-style: italic;"> Lauren Springer Ogden and Scott Ogden are garden designers and writers who split their time between Texas and Colorado, but their suggestions for low water, xeriscapic landscaping can benefit gardeners far from the American West, Southwest and Deep South. The authors agree with their Dutch contemporary, Piet Oudolf, that a naturalistic landscape design based on local climate -- including water limitations -- is the most sustainable choice. Beautiful, unusual plants at a good price. The service was great. I am very happy with my purchase.